​Janine has been practicing massage since 1988. In addition to her role as school Director, Janine maintains a private practice and is the director of Spa Central, a spa and wellness center located in Govans. She offers the students her many years of experience. Continuing Education workshops taken include: Craniosacral Therapy, Acupressure, Lymphatic Drainage, Reiki, Vedic Thai Massage, to name but a few. Barbara has been practicing massage since 2013. Her experience ranges from working in Spas, Wellness Centers , Chiropractor offices and managing a private mobile practice. Barbara has always been curious about the mind body connection and being a massage therapist has helped her understand the body better and earning a bachelor's degree in Psychology has helped her understand the mind better. The body is not separate from the mind and therefore can hold trauma and emotions in the body. Having empathy and compassion is important on the journey to better health. Barbara hopes to bring passion, enthusiasm and her experience to the classroom. When she is not massaging or teaching she is spending time with her family and friends. Jeanne comes from a medical background and is passionate about using massage for clients' pain relief and recovery. Jeanne specializes in deep tissue, sports therapy and perinatal bodywork. Jeanne graduated from Anne Arundel Community College Therapeutic Massage program and promptly began working at a popular massage chain. After that she moved onto working as lead therapist at a chiropractic office. She helped them open a new massage suite in her four years with the office. Jeanne now works on her own doing travel massage and working out of an in home studio. Jeanne is excited to help students learn the basics, and develop their own techniques. She believes each massage therapist has their own style and touch, and she looks forward to helping students discover theirs. 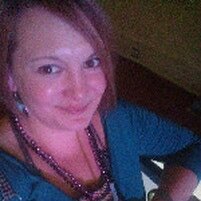 Leah has served as the training coordinator at the Ojas Wellness Centers for five years and has been an Usui Reiki Master for over a decade. Her educational focus is on the application of acquired knowledge in a practical setting that emphasizes individual learning methods to develop personal strengths. 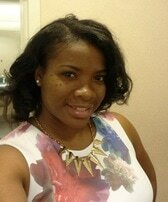 She specializes in cupping therapy and massage for progressive rehabilitation. She has trained in oncology massage, PTSD, Acupressure, Reflexology, swedish, deep tissue and prenatal modalities. As a board certified and Maryland State Licensed Massage Therapist Leah structures her sessions to incorporate a goal oriented focus on mind body connection. Leah dedicates her free time to establishing support groups and peer counseling communities for massage therapists in an effort to bridge the gap between preventative and diagnostic medicine and create long term permanence for the massage industry and its practitioners. As an artist and a healer, Kayon's intuition is high, helping her to provide the kind of massage her patients need. She brings body awareness and mindfulness to every session. She is finely tuned to her patient’s sensitivity to touch and accommodates throughout the session. Kayon is sensitive to age and gender issues during all her interactions. Her experience ranges from working with people with incapacitating conditions to pregnancy massage. Kayon has very strong hands for those that enjoy deep tissue work, but can also be very gentle and relaxing for those that want general relaxation. She has worked alongside chiropractors and other body workers to get her clients back into balance. Her greatest aspiration as a massage therapist is to help clients release the pain, quiet the mind, and move towards positive change: ”I have always had the passion to help others and massage allows me to do this, through therapeutic touch. I believe that in order to have a balanced life, the body and soul has to be in harmony with the mind, thus creating a positive lifestyle change." I enjoy teaching/educating because I am helping others become empowered and confident about themselves and their well-being. Tele returned to the East Coast in 2010 and opened her bodywork practice serving the Greater Baltimore Metropolitan area. 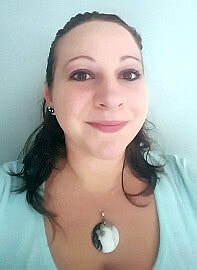 Tele is a member of the Associated Bodywork and Massage Professionals and has additional training in Visceral Manipulation, Pregnancy massage, Energetic Healing, Craniosacral Therapy, Deep Tissue, Serpentine Stone massage and has completed training as a Doula with Birth Arts International. Her practice blends science and intuition to assist clients on their path to healing. Jeffrey is a Nationally and State Certified Massage Therapist who maintains a private massage therapy office in the Mount Vernon area of Baltimore, Eager Street Therapists. As a massage therapist, he is trained and specializes in Swedish and Deep Tissue Massage, Foot Reflexology, and Thai Yoga Massage. He is also a Reiki Master. Other continuing education courses/certifications include Yoga, CPR, HIV/AIDS and Communicable Diseases, Ethics, Pathology, Massage for People with Special Needs, and Yamuna Body Rolling. Jeffrey has also managed an HIV/AIDS community service organization, AIDS Action Baltimore, for 17 years, providing counseling, education and emergency financial services to people with HIV/AIDS disease in the Baltimore metropolitan area. Associates Degree in Professional Cooking and Baking, Baltimore International College, 2003. Ed has been a massage therapist for 4 years now. Ed believes every BODY is a puzzle and different techniques and modalities are pieces to help our clients get back to a picture of wellness. Ed enjoys reading, meditating, collecting crystals, creating jewelry, and spending time with his family. He is excited to begin this new journey of teaching and learning more at Holistic Massage Training Institute. 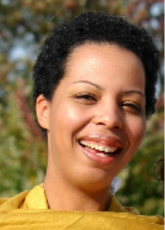 Lisamaya began in the bodywork field by studying energy in the late 90's and became a Reiki 2 specialist. In 2003, she went into the massage field. She has since done massages for various populations and in various locations. The various populations include but are not limited to Spa clients, mentally/physically challenged individuals, and the elderly. The locations she has worked include spas, hospitals, group homes, private homes, and festivals. 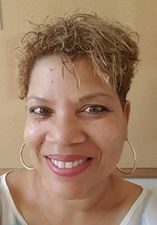 In addition, Lisamaya has been an educator for over 20 years as a technology trainer, high school teacher, and teacher in the field of spiritual development. Lisamaya brings her passion and energy with her desire to help facilitate an environment effective for learning. Emily has been working in the bodywork field since 1993. She has been teaching massage since 2005. In 2003 Emily established the therapeutic massage program at Johns Hopkins University Student Health and Wellness Center, where she sees clients from the Hopkins community. Emily also maintains a private practice in Towson. She now specializes in Craniosacral, Lymphatic Drainage, Visceral Manipulation and is currently studying Neural Manipulation. 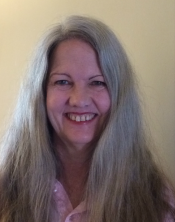 As an Usui Reiki and Karuna Reiki Sensei, she teaches these classes and enjoys the dimensionality and spiritual connection working with energy brings. ​Nate has a contagious enthusiasm for massage. He first caught the wellness bug during his time at the prestigious Holistic Massage Training Institute. There he was taught the magic of hands on healing, and he has used his powers for good ever since. 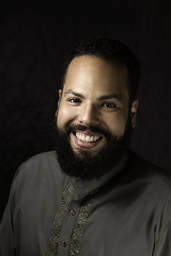 Nate has worked in various arenas since studying at Holistic Massage Training Institute, from spas, corporate settings and wellness centers, all while maintaining a mobile practice. Since 2016 he has happily been self employed. He greatly enjoys his work and sharing his knowledge with others. Nate finds teaching to be incredibly rewarding. He loves learning and finding different ways to think about bodywork. He especially enjoys relaying his working knowledge to his students, all while fostering a fun and exciting environment during his students' quest for learning! 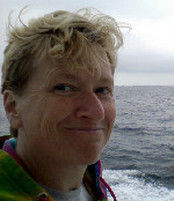 Ellen is a nationally award-winning educator and a nationally certified massage therapist and reflexologist. She sees clients through her own business, Healthier and Happier. In her work as a massage therapist, she is a strong advocate of people who have survived trauma and violence, who contend with chronic or life-threatening illness and pain, or who struggle with oppression and re/claiming their lives and their bodies through massage as complementary care. To this end, Ellen volunteers at Whitman-Walker Health Center in DC where she offers free massage to individuals with AIDs; and she volunteers in Montgomery County at Family Services and Homelessness Resource Day events. 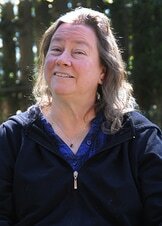 Ellen has taught for many years in the community college setting, and is currently the chair of the Department of English and Reading at Montgomery College, the largest community college in the state, serving students from Washington, DC, Montgomery County, and Prince George's County. Teaching at Holistic Massage Training Institute allows Ellen to marry her two favorite things: teaching and massage. The Upledger Institute International, Inc. The Upledger Institute International, Inc.
Rene has been working in the spa industry since 2004, he lends a fresh perspective and seasoned aptitude to client focused work. Rene has been training and practicing Cranial Sacral Therapy for ten years, while also working as a teaching assistant. As Rene is very diverse in his practice of spa treatments, he is also experienced with spa management. Rene believes in passing valuable knowledge on to those dedicated to providing the best business practices and client care. Greg began his journey into bodywork and became an active member of the Associated Bodywork and Massage Professionals in 2001. 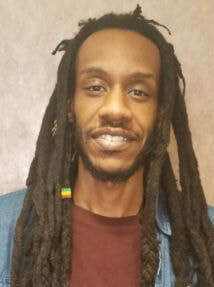 He is a graduate of the Baltimore School of Massage and taught all parts of the curriculum there for over 6 years. 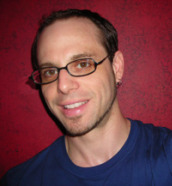 He was awarded Instructor of the Year in 2005 before joining Holistic Massage Training Institute in 2009. 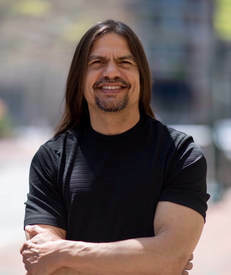 Prior to Greg's massage certification, he was practicing the musical arts and received his Bachelor's Degree in Philosophy with a concentration in Eastern and Asian thought from Towson University in 1995. In 2006 Greg earned his certificate as a Personal Fitness Trainer through the NSPA. In addition to his private practice, Greg has worked as a massage therapist for About Faces Day Spa, Quest Fitness and is currently the lead therapist at the Massage Envy clinic in Columbia MD. He specializes in Deep Tissue and Trigger Point techniques. Greg is fascinated by the body/mind connection and how bodywork enhances the communication between the two sides that make us dynamic balanced human beings. In the future, Greg plans to receive training in research techniques at the National Institute of Health in DC. "I believe that the more we document the scientific effects of massage on the body, we will discover even further and deeper health benefits." Leah graduated from the Baltimore School of Massage in 2004, adding massage therapy to her toolkit, after having worked as a hypnotherapist and medicine person for many years. Leah practices Swedish, Deep Tissue and Lomi Lomi Massage but especially enjoys Myofascial Release Techniques as they can be as gentle or as deep as needed. Leah loves working with geriatric and special needs clients. Leah enjoys teaching, passing along the tools that the next generation must have in order to bring their best ability to those in need of them. Having spent over twenty years developing her own technique, she is dedicated to sharing what she has learned over the years with those just starting on the journey. 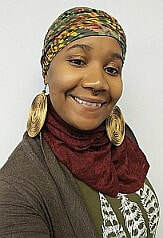 Christine has a true passion for the path of holistic health and healing & she runs her own private practice, Sominbo Life & Health in East Baltimore. Each session she works to read the book of her client's body to create a truly customized treatment. Intuitively weaving massage with the body and breathe movements of yoga and the clearing & balancing of energy work. Striving to help bringing clients to a more optional place in their overall wellness. Catherine has been practicing massage since 1988. 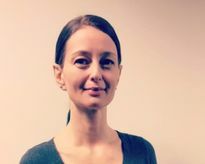 In her private practice in Silver Spring, MD she specializes in Swedish, Deep Tissue, Hot Stone, Japanese Trepidation, Thai and Active Isolated Stretching. She has a separate practice in Organismic Therapy, a modality that incorporates nurturing direct touch with somatic education (based on the work of Stanley Keleman) and verbal analysis. Her fascination with how people learn has brought her to teaching and she loves it here at Holistic Massage Training Institute!